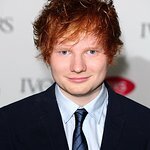 The Elton John AIDS Foundation (EJAF) has announced that it has selected British singer-songwriter Ed Sheeran to perform at this year’s Academy Awards Viewing Party to be held on Sunday, March 2, 2014, at West Hollywood Park. This annual gala, sponsored by Chopard, Neuro Drinks and Wells Fargo, is the largest fund-raising event in Hollywood on Oscar night and has raised nearly $40 million to support the Foundation’s mission to achieve an AIDS-free generation. Following a handful of independent EP releases, Sheeran’s 2011 major label debut “+” went platinum six times with nearly two million in sales, debuted at #1 in the Official UK Charts upon release and reclaimed the #1 title at the turn of 2012. This, and the 2.8 million single sales (four in the Top 10), meant Ed had the highest opening sales for a debut male solo artist in the UK ever. In 2013, Sheeran joined Taylor Swift on her 70 date US tour and was featured in her single “Everything Has Changed.” Sheeran’s 2013 hit “I See Fire” was featured in the closing credits of Peter Jackson’s hit movie The Hobbit: The Desolation of Smaug. In the first week of January 2014, Sheeran announced his first UK headline tour since 2012, including four O2 Arena dates, and confirmed that he is adding the finishing touches to his next album. In addition to Sheeran’s performance, guests can look forward to an evening of fun that includes a dinner prepared by internationally renowned Chef Gordon Ramsay, a live auction, and dance tunes spun by DJ Johnny Dynell. The event will play host to a myriad of Hollywood top names, many of whom are committed supporters of the Foundation’s work to provide services, including direct treatment and care for people living with HIV/AIDS in marginalized communities. Among the individuals who will attend the celebration are the 2014 Event Chairs, including Bill and Tani Austin, Johnny and Edwina Barbis, Joseph W. Blount, Jim Carrey, Chris Colfer, John Demsey, Judi Dench, Greg Gorman, Tim Hanlon and Anthony Klatt, Neil Patrick Harris and David Burtka, Diana Jenkins, Quincy Jones, Nicole Kidman and Keith Urban, Billie Jean King and Ilana Kloss, Heidi Klum, Ryan Kwanten, Fred Latsko, Shelley Lazar, Sandra Lee, Jared Leto, Andra Liemandt, Eric and Janet McCormack, Joseph A. McMillan, Jr., Sharon and Ozzy Osbourne, Anna Paquin and Stephen Moyer, Katy Perry, Tyler Perry, Pablo and Nathalie Salame, Caroline Scheufele, Bryan Singer, Sharon Stone, Steve Tisch, Steven Tyler, and John Waters. Audi and MAC Viva Glam are the evening’s Co-Sponsors. The Foundation is especially grateful to the City of West Hollywood for its continued collaboration with EJAF. American Airlines is EJAF’s official sponsoring airline.